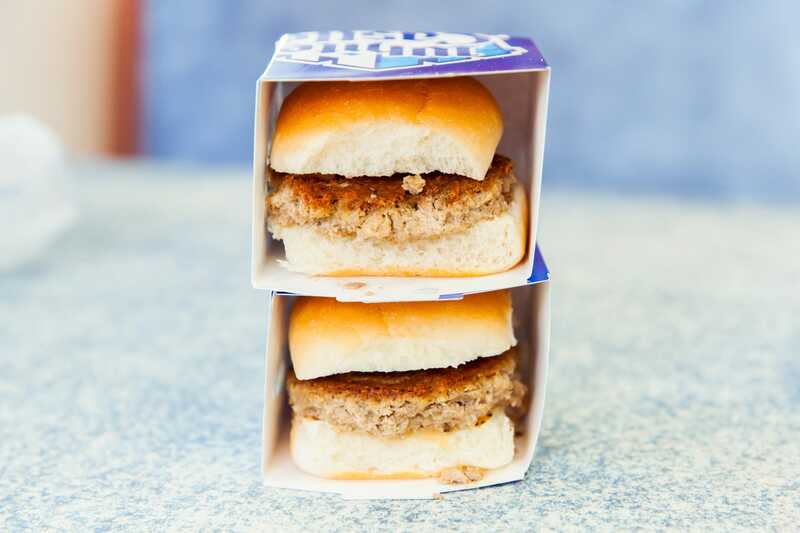 Business Insider/Jessica TylerWhite Castle’s Impossible Burger sliders are one of the best vegan fast-food choices out there. 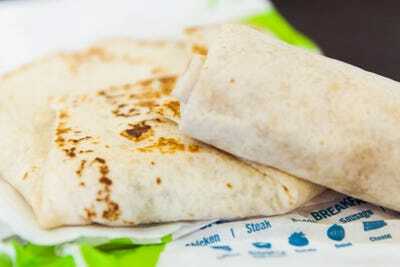 Fast-food menus tend to have pretty limited options for people who follow vegan diets. But veganism is a rapidly growing trend – Nielsen data shows that nearly 40% of Americans are trying to incorporate more plant-based foods into their diets. 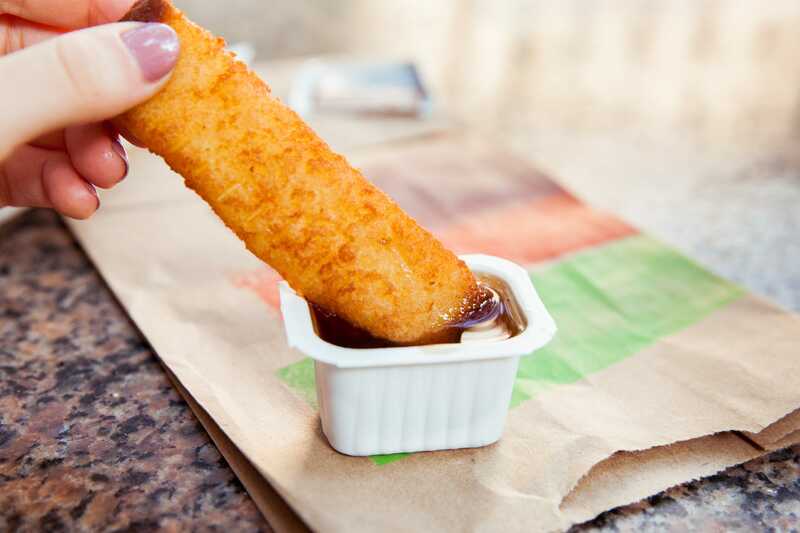 Though there still isn’t a ton to choose from, major chains are slowly starting to add more vegan options to their menus, including Costco,IKEA, and White Castle. We tried some popular vegan fast-food meals from chains including McDonald’s, Taco Bell, and Chick-fil-A. Here’s how they rank. Vegan fast food – free from meat, dairy, egg, or other animal products and byproducts – is not easy to come by. The population of vegans, vegetarians, and people who are simply trying to eat less meat is growing rapidly. Restaurant consultancy group Baum+Whiteman expects plant-based foods to be the top trend of 2018. A study by the Plant Based Foods Association from September 2016 found that the plant-based food industry – which includes meat, dairy, and egg alternatives – generates over $US13 billion in sales annually throughout the US economy. Currently, Nielsen data shows that nearly 40% of Americans are trying to incorporate more plant-based foods into their diets. According to Baum+Whiteman, 58% of adults choose to drink non-dairy milk instead of dairy milk, yet most fast-food chains don’t carry any alternatives to dairy milk. 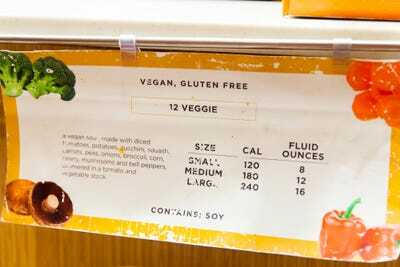 In the past year alone, Google has seen a 90% increase in vegan-related searches. But many major chains are slowly starting to catch on to the trend. 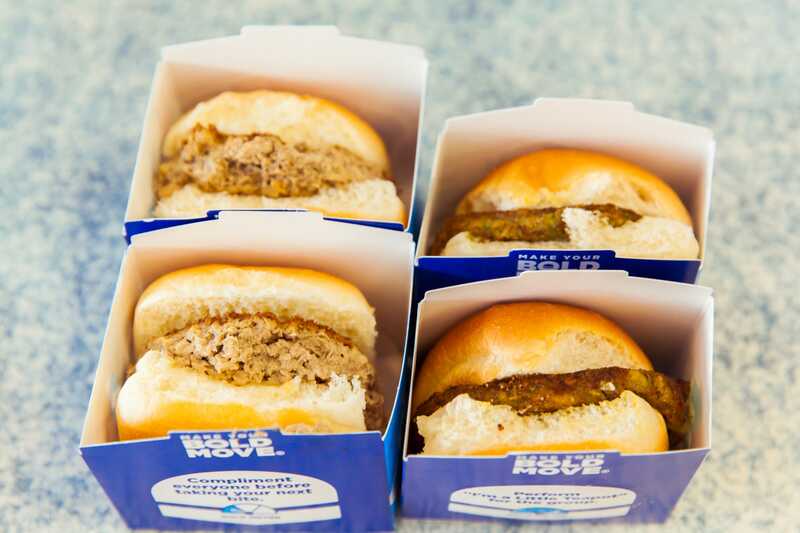 White Castle now serves the Impossible Burger, Costco and IKEA both recently added vegan items to their food-court menus, and Taco Bell makes it easy to make some of its most popular items vegan-friendly. 7. 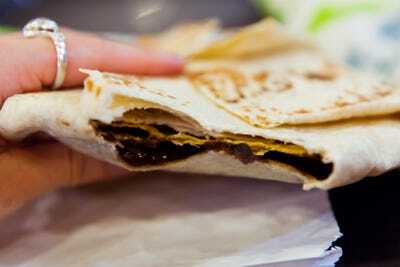 Taco Bell’s Bean Burrito: I ordered the burrito Fresco, which replaces all dairy with pico de gallo. 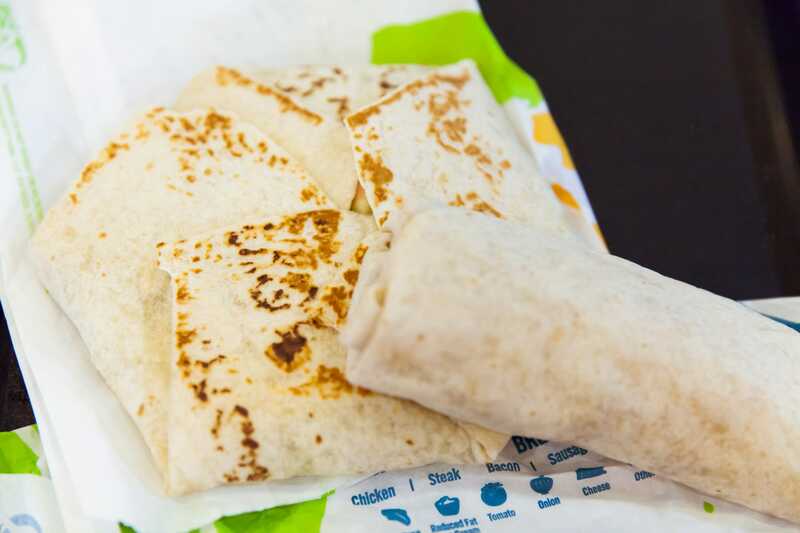 Very little pico was actually added, so it was basically just beans in a wrap. The texture wasn’t very good, it didn’t taste like much of anything, and it was difficult to eat it because it was falling apart. 6. 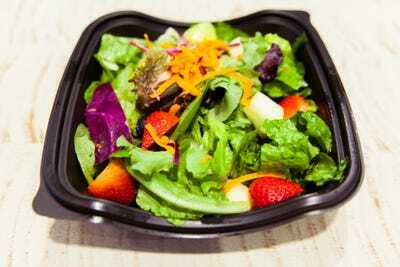 Chick-fil-A’s Market Salad: The salad is vegan if ordered without chicken and cheese. 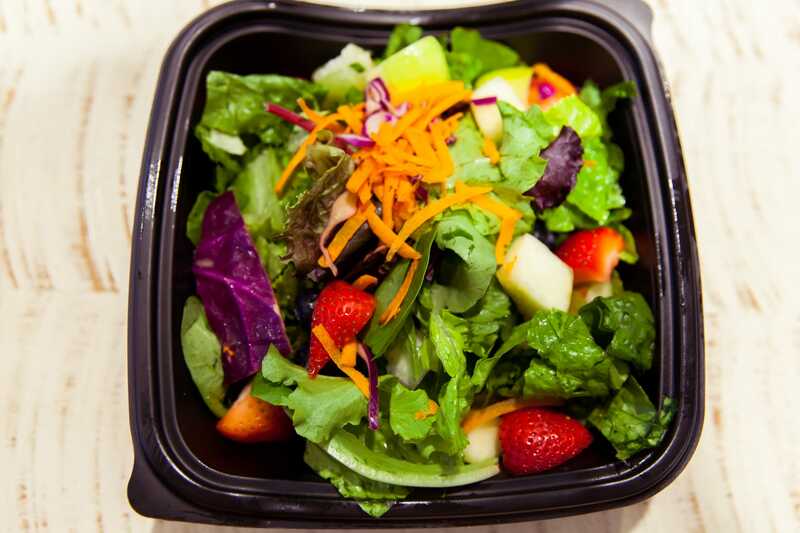 Everything tasted fresh, and it was definitely more substantial than a typical fast-food salad. Still, it wasn’t filling at all, and it was very plain. 5. 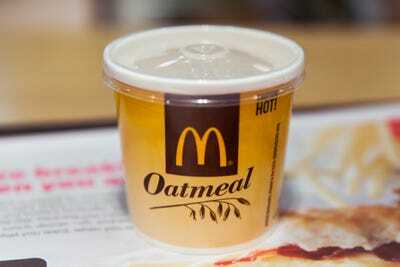 McDonald’s Oatmeal: This is the only vegan option on the menu at McDonald’s if you order it without cream. It was filling, but it was way too sweet for my taste. 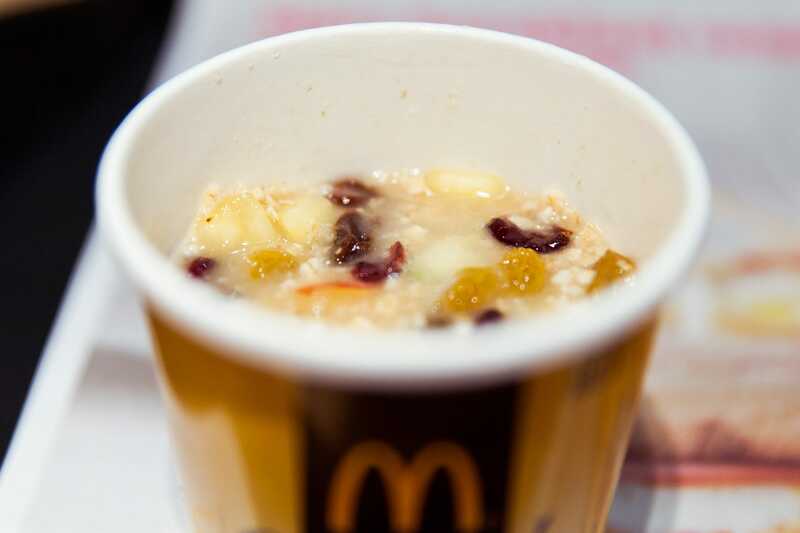 McDonald’s oatmeal has nearly twice as much sugar as a Hershey bar and more than 300 calories per serving. It was hard to eat because it was so sweet, especially as a breakfast option. 4. Taco Bell’s Crunchwrap Supreme: To make it vegan, I ordered it without cheese, beef, or sour cream, and I added black beans. It was really good, but I wish there was more of everything that was left. Even though it tasted fine, it was flimsy and not very filling because there was so little in it. 3. 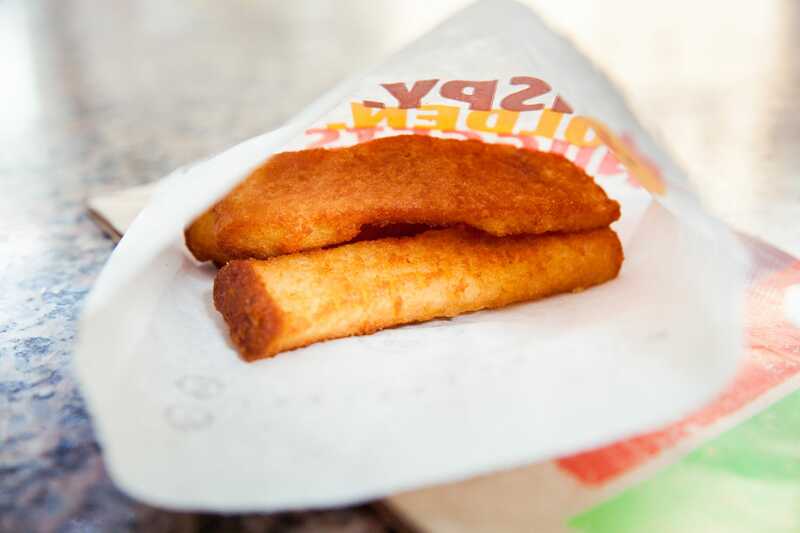 Burger King’s French Toast Sticks: The French Toast Sticks were better than I expected them to be, and are vegan straight off the menu, with no changes or substitutions. I ordered the smallest size, but it was definitely not enough to eat. The syrup tasted too artificially sweet, but the French Toast was a bit dry without it. But as far as vegan fast food goes, it was definitely one of the better options. 2. 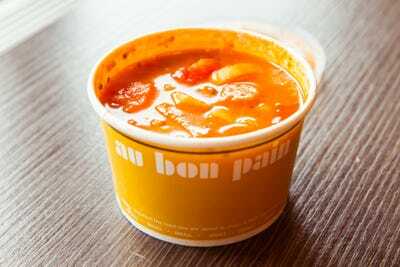 Au Bon Pain’s 12 Veggie Soup: The soup was actually labelled vegan, which was nice. At most other chains the vegan options were just vegan by coincidence. It was one of the healthier options, and it was really flavorful and filling, too. It didn’t taste as artificial as the other options did. 1. 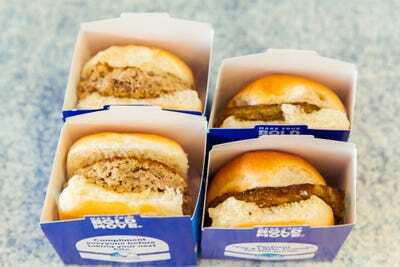 White Castle’s Vegan Sliders: White Castle has a few different vegan options, including the veggie sliders and Impossible Burger sliders without cheese. 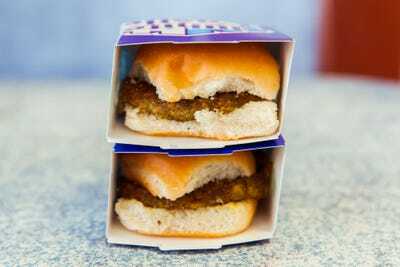 The veggie sliders, which are from the Dr. Praeger’s brand, are made from vegetables like carrots, zucchini, peas, spinach, broccoli. They tasted really good, and they weren’t dry or overcooked at all. Even with nothing on them, they had a great flavour. 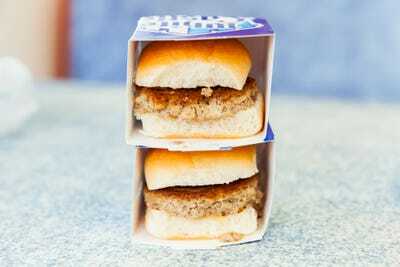 The Impossible Burger sliders, which are plant-based burgers meant to imitate meat, were by far the best option in terms of vegan fast food. They were filling, didn’t taste super artificial or sweet, and were only $US1.99 each.